My Jesus is my #1 man. Today he showed me more blessings. Check up with my diabetes doctor is proof in prayer. My A1C went from 8.0 to 5.9. I am now pre diabetic, doctor dropped one of my meds, and said if I stay on this course we could possibly drop all my meds completely. Thank you Jesus. You are so precious to me. I will keep praising you in every aspect of my life. Hello, my name is Karla I wanted to give an incredible testimony that occurred back in January of this year. It was a chilly Saturday; my husband just returned from doing a job. He decided to go out and move our horse, Rocco, into the other field for the day. Something told me to stop and watch out the window, and in a matter of seconds I saw my husband go down, being kicked in the face, laying limp no movement. I screamed and ran out the back-door yelling to the top of my lungs, "JESUS help him! Save him! Jesus, do not let him die!" When I got to him I started rubbing his for forehead. He had been out for at least 8 minutes or so, when he finally his eyes opened with confusion. I knew right then the Lord was with me, as angels helped me pick my husband up and carry him to his truck. I told the devil, you are not taking him from me "Not Today". As blood covered his face, he asked me what happened. I told him he had been kicked by Rocco in the face, and I was taking him to the emergency room. On the way there he kept repeating, asking me what happened, and I would repeat the same answer: you have been kicked in the face by Rocco I am taking you to the emergency room. I was so scared! He was so pale, confused, in another world. When we got to the emergency room and they took us back. A few minutes went by and a nurse stepped in, and oh, I felt the spirit as holy as it was. She prayed over him and in a matter of seconds the lord sent color back into his face. With only a concussion and stitches in his mouth, I knew the Lord was in the room putting his hands on him, healing his mind and body. To this day I knew in my heart my husband wasn't leaving that day, God had more plans for him to spread his word, tell his story on how he was healed from what could have been a tragic ending. My husband and I give all the glory to the man above- our Lord Jesus Christ. I thank him every day for what he has done for me and my husband. Not only for saving my husband's life but bonding our faith together as one. A few years ago when I started going to FDM I received a Healing in my Hands. I was on medication, I had to keep my hands on a Heating Pad, I couldn't stand for my hands to even get cold and it was painful in the mornings. It was like Arthritis was taking over my hands BUT the devil didn't win! Pastor Mike was preaching one Sunday morning, we were all standing up, he said if you have pain somewhere on your body, place your hand there now! Pastor Mike starting praying a holy ghost prayer. I put my hands together and my husband put his hand over mine. In a matter of minutes my feet felt like they were on Fire! The heat started going through my body. I had no clue what was really going on at that time. Not long after that Sunday Morning, I didn't have to take any medication and no Heating Pad! 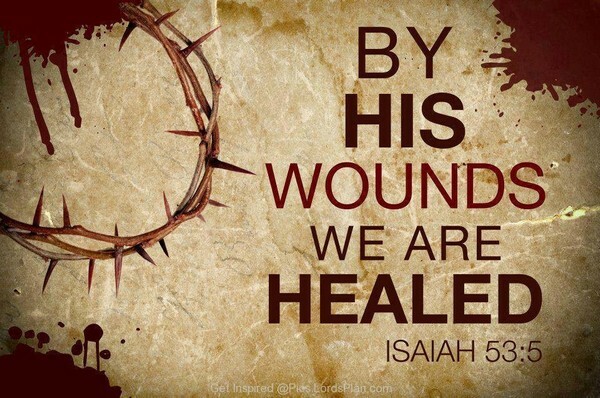 Thank you Jesus for my Healing! My name is Brenda and this is my testimony. I was diagnosed with a kidney disease back in 2011, and had to start dialysis in 2015. Ever since 2011 my white blood cell count has been lower than normal level. It was so low that my Nephrologist sent me to a specialist to see what was going on and how to get it back up. The specialist told me that they could find nothing, and there was no reason for my kidneys to have failed. So in August 2018 my WBC (white blood cell) count was 2.68. After the lab results I prayed and asked God, in Jesus' name, to raise my WBC count up to normal range- And he did. When I went to get my September lab results, my WBC was up to 5.01, well withing the normal range. John 16:24 Ask and you shall receive. Pastor, I don't know if you caught it Tuesday night as the prayer circle was almost over, I became drunk in the spirit. Oh my, I felt tipsy while walking to the prayer box and was covered with goose bumps from my head to my toes. I even felt the little hairs on my face goose bumping too. Lol. I do not really remember driving home except for the fact that I had said, "I hope you got this wheel Jesus, cause I know I don't". Hippy was so happy for me to experience that feeling. It was another 2 to 3 hours before I felt, lets say normal again. Then today a lady stopped by and asked if I would pray for her son. Of course I told her I would add his name, Gerald, to my prayer list. I asked her what made her stop and ask for prayer and she said the sign, the one you gave Hippy, in my yard. Now I know that could not have been the 1st time she saw that sign, Hippy didn't put It deep in our yard. Maybe 10 - 15 feet from the road but what I'm thinking is that God guided her to my house for confirmation that I am on the right path. I would like to give thanks to my friends and family that have supported me to pursue the call of God on my life! On May 12 of 2016 I had a Saul to Paul conversion ACTS chapter 9 on my way to work that morning that shook me to the core and immediately began to change my life. Looking back now it was God calling me into ministry. Since then my Pastors Mike and Melissa Miller have been mentoring me and my wife and I want to thank them for their time and encouragement. I want to give my wife a big THANK YOU for your support!!! Thank you to to my awesome Church family! I consider it a great honor to represent GOD'S KINGDOM and preach JESUS to the world! Mike: I had a wonderful time Sunday in the spirit. I have never felt it that long. The Lord told me to go up there and pray for each one at the altar. I don't know if you will agree with me or not but I took my defibrillator off when I got home Sunday. I was going to talk with you about it but I know I'm the only one that can make that decision. I have felt so much better since Sunday and keep saying I am healed I am healed I am healed. I am listening to The tapes. Mine is about getting rid of demons. Andrew Wommack preaches this like that also. After I study each one I'm going to give them to Brenda. (I hope the congregation understands that I'm in the spirit. I am praying that they will feel this Glory. I'm sure you are praying that also. The last Thursday of August, Stan French preached and ministered. I came suffering with shingles - very painful. When Stan prayed over me, and I retured home, I was not in pain and found that the shingles were dried up and gone. Jack Keiling, who is one of your original members beginning in 2010, received healing for his left ear which had been deaf his entire life. He now hears with that ear as well as his right ear. Tom Smith, a recent member, has been healed of a bowel problem and is also believing God for complete healing from diabetes.